Ground temperatures were measured hourly at ~20-50cm intervals below the ground surface inside and adjacent to thermokarst features in the region around Toolik Field Station. Ground temperatures were measured using Hobo thermistors. Temperatures at 0 and 20cm depths were measured directly in the ground whereas 40cm and deeper measurements were logged from dry wells installed in summer 2009. TRTK_GT01dot05_temp is located outside the TRTK thermokarst, midslope. 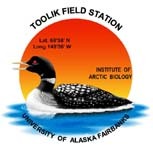 Ground temperatures were measured hourly at ~20-50cm intervals below the ground surface inside and adjacent to thermokarst features in the region around Toolik Field Station. Ground temperatures were measured using Onset/Hobo thermistors (either 2-channel U23, 4-channel U12, or individual measurements logged in an H23 datalogger). Temperatures at 0 and 20cm depths were measured directly in the ground whereas 40cm and deeper measurements were logged from dry wells installed in summer 2009. At the Toolik River and I-minus-2 gulley thermokarsts, sites were chosen inside and outside of the thermokarst feature, and at three landscape positions: above the headwall of the thermokarst, at mid-slope, and a low-slope position. At the NE-14 retrogressive thaw slump, sites were chosen according to landscape position (upslope and downslope) at each of three locations (inside the new slump, inside the revegetated scar of the old slump, and outside of both slumps on an adjacent hillslope). Data was maintained by the Gooseff lab during 2009-2012. Some data continues to be collected, please contact the lab for updates. Version 2: Combined files from Toolik River under one metadata file. Download a comma delimited (csv) or Excel file (includes metadata and data sheets). To cite this data set see the citation example on the LTER Network Data Portal page for this data set.